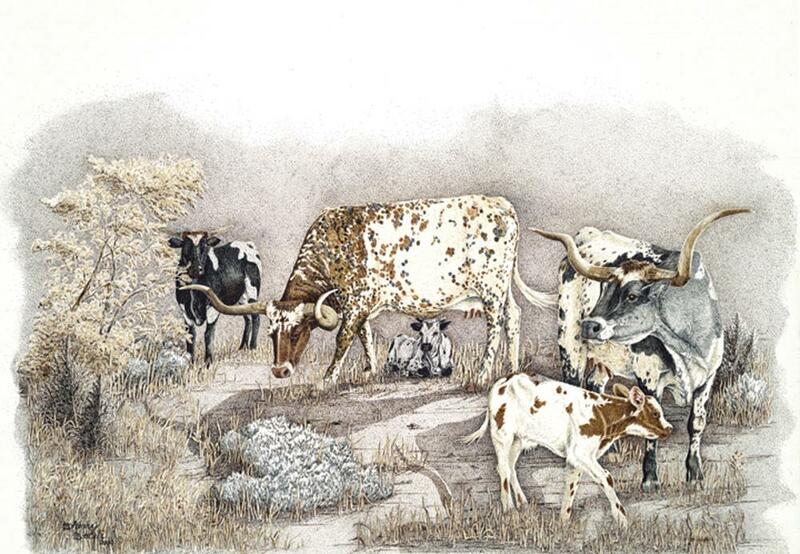 View cart “Red River Crossing – Longhorns” has been added to your cart. Among nature’s best mothers, Longhorn cows are legendary in their ability to protect and nurture their calves. Born smaller than most breeds of cattle, making birth easier on their mothers, the calves are quick on their feet and full of mischief. The beauty of their ability to adapt to their environment is apparent when they are surrounded by the Texas cedar, sage and mesquite.